The sector is hot, but these energy ETFs could be vulnerable on the downside. Energy commodities, namely oil, are among this year’s best-performing commodities. Predictably, that scenario is proving beneficial for energy ETFs. After tumbling 18.20% last year, the Energy Select Sector SPDR (NYSEARCA:XLE), the largest energy ETF, is up 17.70% this year, underscoring the point that energy is one of the best-performing sectors in the S&P 500 to this point in 2019. While betting against energy ETFs has been losing proposition so far in 2019, that does not mean the group is immune to potential downside. Energy is a cyclical sector and could be tested if investors continue favoring defensive groups. Additionally, energy ETFs could be pinched by slowing global economic growth, which would crimp oil demand. “With oil prices once again above our unchanged midcycle price of $55 per barrel, we see less value in oil-related stocks than we did at the beginning of the year,” said Morningstar in a recent note. Another variable to consider with energy ETFs is that sectors favorable seasonal period comes to an end in the middle of the second quarter. While that is not a guarantee of bad tidings with energy ETFs, it is something to consider because some of the following energy ETFs could be vulnerable to downside in the months ahead. The SPDR S&P Oil & Gas Exploration & Production ETF (NYSEARCA:XOP) is rallying this year thanks in large part to this energy ETF’s often intimate correlations to oil prices, but this is also what makes XOP vulnerable to significant downside if oil tumbles. XOP is up 17.50% this year. On its own, that sounds impressive, but when measured against the aforementioned XLE, XOP has not been the better bet on a risk-adjusted basis because exploration and production stocks are usually much more volatile than integrated oil names that dominate traditional energy ETFs like XLE. XOP could firm if oil inventories tighten and/or demand picks up. Given this energy ETF’s domestic focus, the fund could benefit if U.S. shale producers scale back output during the second and third quarters, but there are no guarantees that scenario comes to pass. Another high flier that is highly tied to oil prices, the VanEck Vectors Oil Services ETF (NYSEARCA:OIH) is up 26.51% this year. This energy ETF shares something common with integrated oil funds: OIH is dominated by a small number stocks, namely Schlumberger Ltd. (NYSE:SLB) and Halliburton Co. (NYSE:HAL). Those two oil services giants combine for over 34% of OIH’s weight. Any material retrenchment in those names makes it difficult for OIH to deliver upside. Good thing some analysts are bullish on Schlumberger. Expense ratio: 0.84% per year. The United States Oil Fund (NYSEARCA:USO) is an energy ETF that is a likely epicenter of vulnerability if oil prices decline. This energy ETF is widely viewed as the bellwether oil fund, excluding equity-based products, and is also one of the most heavily traded commodities funds of any stripe. USO provides exposure to front month West Texas Intermediate (WTI) futures and there are some risks associated with that methodology. Fortunately for bearish traders, USO has a robust options market and this energy ETF is highly liquid, meaning it is easy and cost-effective to sell short. The Invesco S&P SmallCap Energy ETF (NASDAQ:PSCE) is the small-cap answer to the aforementioned XLE and that alone explains this energy ETF’s potential vulnerabilities if another oil bear market arrives. With PSCE up 26.23% this year, more than double the returns of the S&P SmallCap 600 Index, envisioning major declines for this energy ETF over the near term may be hard to do. 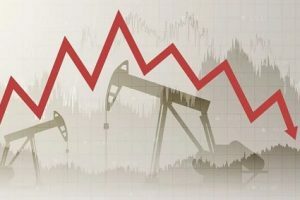 However, if oil falters in earnest, that could trigger concerns about global economic growth and if investors become concerned about the U.S. economy, small caps would likely retreat, creating a double whammy of sorts PSCE. This energy ETF’s 39 holdings, which have an average market value of $880 million, “are principally engaged in the business of producing, distributing or servicing energy related products, including oil and gas exploration and production, refining, oil services and pipelines,” according to Invesco. Like many of the energy ETFs highlighted here, the Invesco DWA Energy Momentum ETF (NASDAQ:PXI) has been solid this year. And like many of the energy ETFs mentioned here, PXI faces two-fold scenarios that could make the fund vulnerable in the event oil prices retreat. First and foremost, PXI’s composition, which includes a heavy tilt to mid- and small-cap stocks, makes the fund vulnerable to energy sector declines. Second, a momentum-based strategy could weaken more rapidly than cap-weighted energy ETFs if oil prices quickly erode. One sign to steer clear of PXI in oil bear market is already clear: this momentum energy ETF is up just 15% this year, trailing cap-weighted rivals like XLE by more than 200 basis points. The Global X MSCI China Energy ETF (NYSEARCA:CHIE) is another example of an energy ETF with impressive year-to-date gains (CHIE is up 16.55%) where speculating on near-term declines is a tricky endeavor, particularly with Chinese stocks ranking as among the world’s top performers. CHIE’s underlying index includes “all eligible securities as per MSCI’s Global Investable Market Index Methodology, including China A, B and H shares, Red chips, P chips and foreign listings, among others,” according to Global X.
CHIE would be vulnerable to broader retrenchment in Chinese stocks, which would likely weigh on the global energy sector given that the world’s second-largest economy is still a major energy importer. Plus, with CHIE lagging the equivalent U.S.-focused energy ETFs this year, the risk/reward trade off here currently is not favorable. The First Trust Natural Gas ETF (NYSEARCA:FCG) is up more than 19% this year, which is an impressive showing for this energy ETF. FCG is a mid-cap fund as highlighted by a median market value of $3.27 billion for the fund’s 33 holdings. One of the primary issues with FCG is trusting that this fund will maintain its lead over traditional energy ETFs if oil and natural gas prices stay high and that FCG will not overshoot rival energy ETFs on the downside if energy commodities fall. These are relevant points because FCG has a history of lagging standard energy ETFs like XLE. From 2013 through 2018, FCG never outperformed XLE and during rough years for oil, such as 2014 and 2018, FCG’s were much more severe than those incurred by regular energy ETFs.